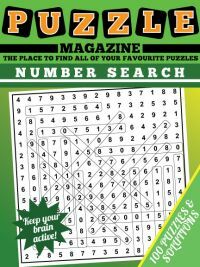 Our Bridges Puzzle Magazine, also called hashi, has 50 all-new 13 x 13 enjoyable bridges puzzles for you to play. You might like to download and play these puzzles, but if you're brand new to bridges then it can look a little daunting. 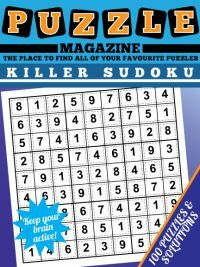 That's why in this strategy guide we'll look at the first actual puzzle in the hashi magazine, and look at ways to start solving the puzzle. The simplest strategy is to look for bridges that must be placed between islands, bearing in mind a maximum of two between islands. The corners and sides of the puzzles are often good places to look for such bridges as there are less options here. Indeed, the first island we encounter in the first row is a '3'. There are only two islands it can connect to - the '4' in row one and the '2' in row 5. Therefore no matter what the precise configuration of its bridges is, there must be at least one to each of these islands, and so we can mark those two bridges in. Also it is useful to look at islands with high numbers of bridges as in many cases you can place at least some of these bridges from the start. Of course, if you ever see an 8, a 4 at the corners or a 6 at an edge, then you can place all of its bridges instantly... can you see why? This simple and intuitive rule is the key workhorse strategy to solving bridges, and in some cases is all you need. The important point to note is that once you start drawing in bridges between islands, you invariably reduce the options for other islands and bridges, so this is an iterative process that can be applied then re-applied to progressively solve either significant areas of puzzles and sometimes even the entire puzzle with simple bridges puzzles. Cross-referencing is another important but simple rule. Imagine that you have two possible bridges you can draw from a given island. But you know that placing one bridge would make it impossible for another island to connect its full allotment of bridges: in this instance you therefore can eliminate that option. Again whilst this is a simple rule, it is often very important as a solving strategy for bridges / hashi (hashiwokakero) puzzles. The final rule you will often require, but sometimes only in the more difficult puzzles, is called isolation. This is the point referred to in the rules that all islands must be connected to all other islands by means of the bridges that exist between them. There are some special case shortcuts here that you can use to help you quickly place and eliminate options. It can be seen that a '1' can never connect to another '1'. 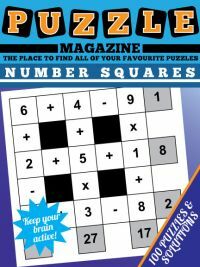 So infact if we look at the final row in this puzzle we can instantly draw a bridge between the '1' and the '2' in the bottom row, as were the '1' to connect to the '1' in the same column, those two islands would be fully connected and therefore isolated from the rest of the puzzle. 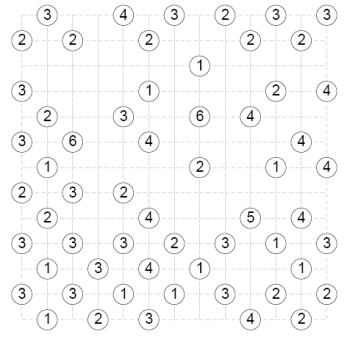 To help you keep track of the bridges, one simple solving hint is to put a cross through an island once you have placed all its bridges, as one of the common solving mistakes with hashi is simply miscounting and having one two many, or one two few, bridges between islands. Similarly, a '2' can only have a maximum of one bridge with another '2'; because if they shared both bridges then they would be fully connected and therefore isolated from the rest of the puzzle. We can use this rule to place a single bridge immediately from the '2' in the second cell of column one and the '3' in the fourth cell of that column. There are other special cases of the isolation rule too - for instance a '4' cannot have two bridges to two '2' islands, which again would isolate the three islands. Generally, when using isolation in harder puzzles you may be faced with a few options for a bridge but are not sure which it is. This is where you may need to look at the implications of each particular connection, and trace through in your head to see that if you connect two islands you may isolate, say, a series of ten islands, and therefore that particular bridge is not possible. Certainly in a good bridges / hashi puzzle you will never need to guess and there will be just one solution that can be reached through deductive logical moves alone. 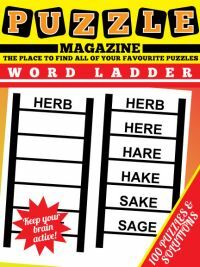 That is the case with all the bridges puzzles in this puzzle magazine. 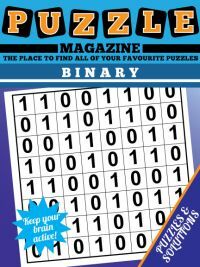 Now download the bridges puzzle magazine and enjoy 50 fun bridges puzzles.